Superdry women’s Track & Field joggers. Get a leg up in the style stakes this season wearing this pair of joggers. These are perfect for lounging around the house or creating the on-trend athleisure look. 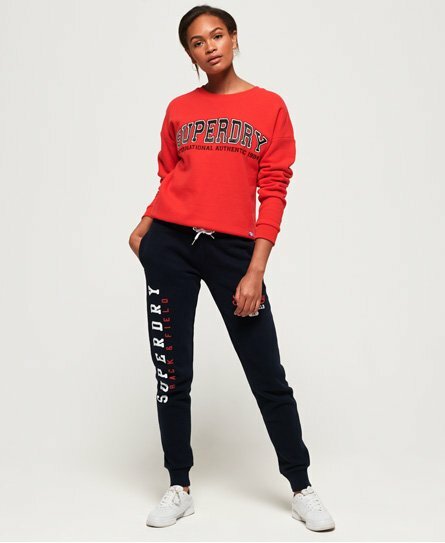 They features a draw cord waistband, two pockets, ribbed cuffs and a Superdry logo down one leg. Pair these joggers with an oversized tee and your favourite trainers for a comfortable outfit choice.